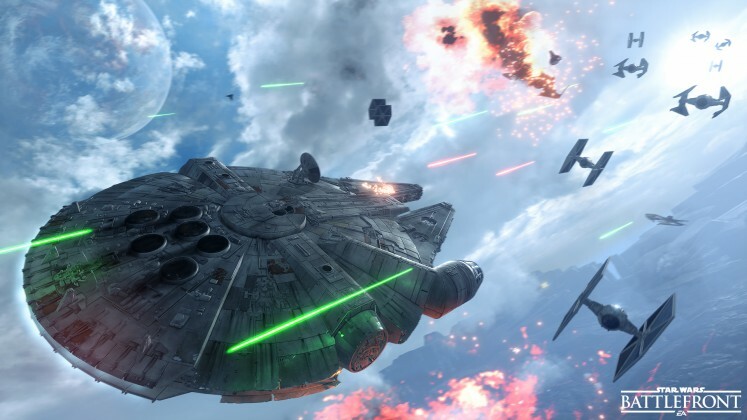 It’s been a long time since Star Wars Battlefront has been in the hands of gamers. A once great franchise was gone almost as quickly as it came. Two entries into a successful franchise and the series mysteriously disappeared. In its short lifetime on shelves, it captivated gamers. Here was an incredibly fun multiplayer experience that took place on huge maps, and allowed players to play as their favorite star wars characters. Battlefront I and II weren’t perfect, but were incredibly fun in their own rights, and were the reason for many parties and good times for me as a teenager. 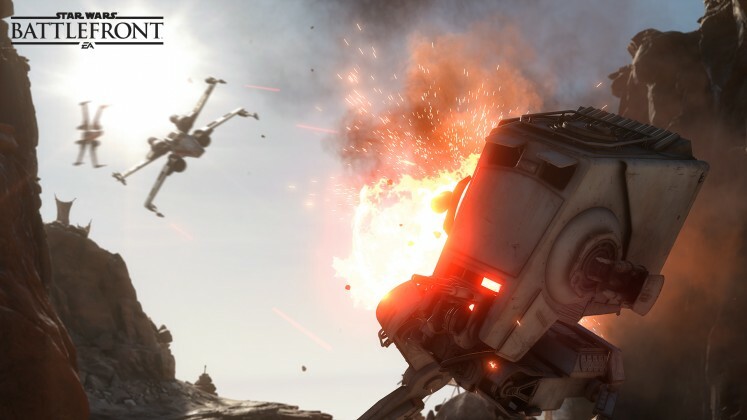 Going into Battlefront, I knew it was going to b best with friends, no question about it. After finding a group who also bought Battlefront, I felt very comfortable with my purchase (since we all know playing with random people is ever quite as fun). 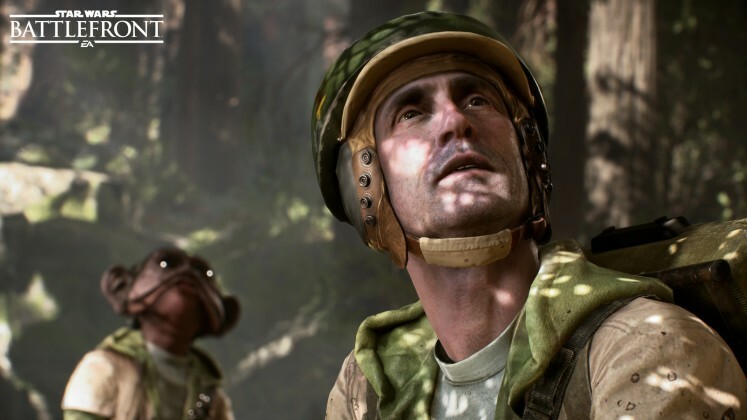 With my friends in tow, I was ready for the Battlefront experience, and what I got was an experience that I haven’t experience in a long time. 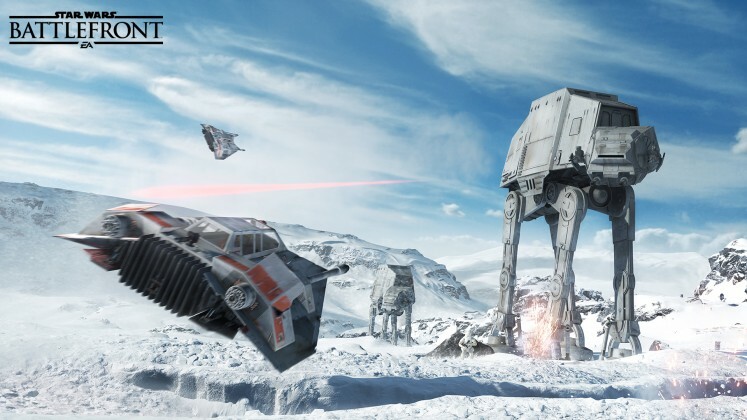 Not only is Battlefront incredibly fun, but it’s very light, there’s not much depth to it. While this may dissuade some gamers, to others this is paradise. Nobody feels disadvantaged because they haven’t played for 40 hours strictly online, everything is very flat. Players who have leveled up do have access to new weapons and perk, but nothing game changing. As a human who has recently entered the full-time working world, I was very appreciative of how little depth there was to the online play. 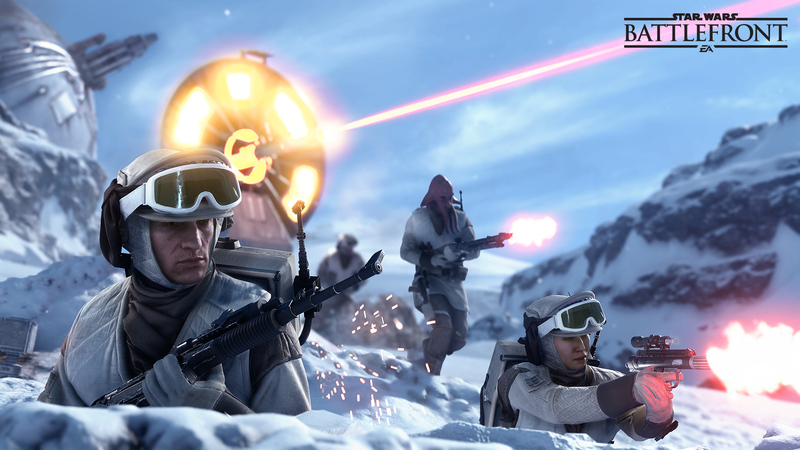 Battlefront is the easiest “pick up and play” multiplayer game I’ve played in a long time, and I praise it for that. Star Wars Battlefront has one of the most aesthetically pleasing menus in gaming, and I know that’s a specific thing to hone in on right off the bat, but once you play with the menus you’ll know what I mean. Now that we’re all past the beautiful menus and my bizarre taste, let’s talk about the actual game. Thankfully Battlefront presents the rest of itself just as clean. When started up for the first time, the game will prompt some light tutorials for the different game modes just so you won’t be going online blind. These tutorials aren’t necessary, but I was happy at how short yet wholesome they were. The game’s visuals themselves are downright beautiful. I found myself gazing at the massive AT-AT’s walking above me, marching through the snow on Hoth, leaving big foot prints where ever they walked. 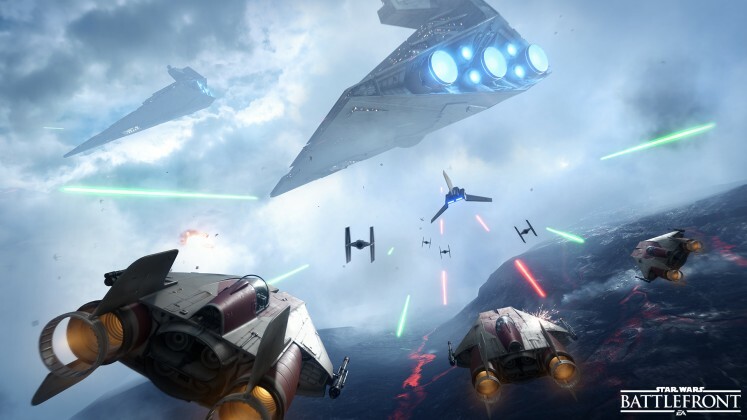 While dog fighting in space battles I saw the smoke of my hits on enemy Tie Fighters blow past me. It’s the little details, as well as the big vast ones, that makes Battlefront believable. Well…maybe believable isn’t the right word because, when you’re playing Battlefront, you are whisked away to your childhood memories of dreaming of piloting the Millennium Falcon through the skies, or blasting enemy storm troopers on Endor. It evokes your childhood imagination and mind, there were moments where I was just thinking to myself “This is so cool”. Maybe this is because I’m a Star Wars fan, or just because I’ve got a wild mind, but the fact that it happens speaks a lot about how powerful Star Wars can be in the right hands. 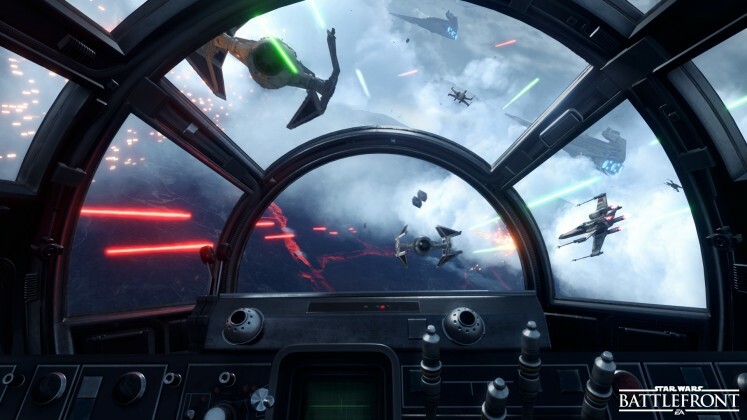 Right off the bat, it’s clear to see the Battlefront is primarily a multiplayer game. 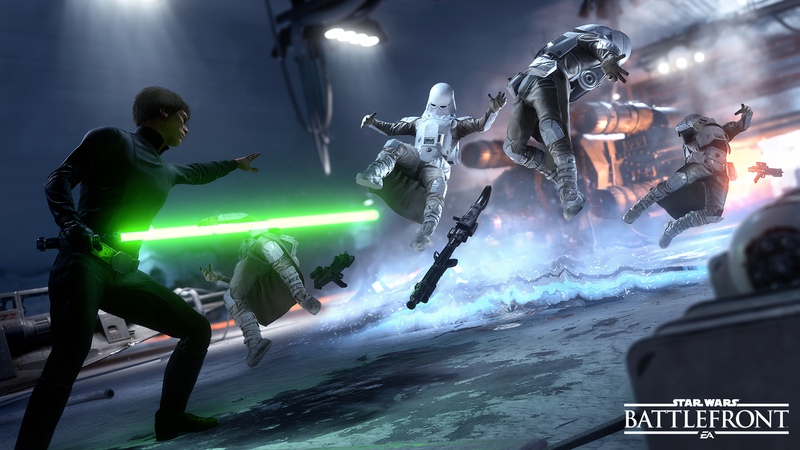 While some games like call of Duty feature an extensive single player campaign and an equally, if not better, multiplayer portion…Battlefront only has half the pie. There is very little single player action included; there is no campaign for players offline to enjoy. If you want to play by yourself, your only options are some lackluster survival modes. There are some neat options, like racing speeders on Endor, but these don’t feel like fully fledged singleplayer modes, but patched on efforts to just have some sort of singleplayer mode available. This is easily Battlefront’s biggest downfall, which is a shame since the possibility for some well crafted campaigns utilizing the game’s beautiful and massive levels could have been a welcome addition. That being said, the multiplayer is fantastic fun. All of your Star Wars fantasies come to life in multiplayer. I was blasting rebels as Boba Fett, flying through the skies in the Millennium Falcon, and shooting lighting as Palpatine. 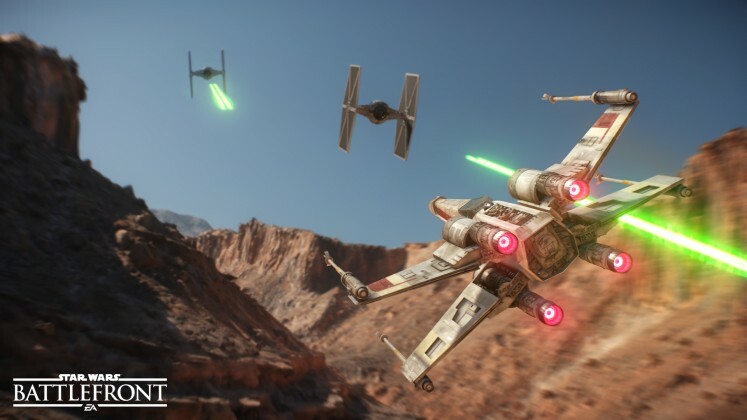 There are various game modes such as Walker assault (air and ground battles on a 40 player map), Fighter Squadron (air battles only), Cargo (capture the flag), Droid run (protect the package), and many others to satisfy your Star Wars itch. I have easily had the most fun on supremacy and walker assault, mostly because playing with that many people is a whole lot of fun, and makes the battlefields feel much more like a Star Wars a fantasy. 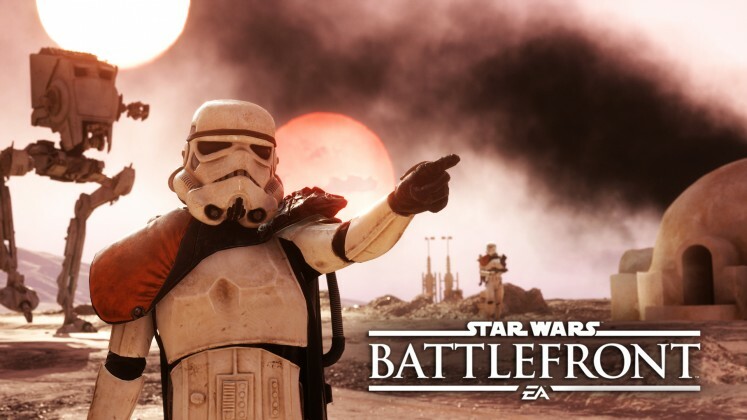 There are only a handful of maps in the rotation right now, but EA has confirmed there will be free maps available for players as well as paid options down the road with their 5 planned DLC packs. 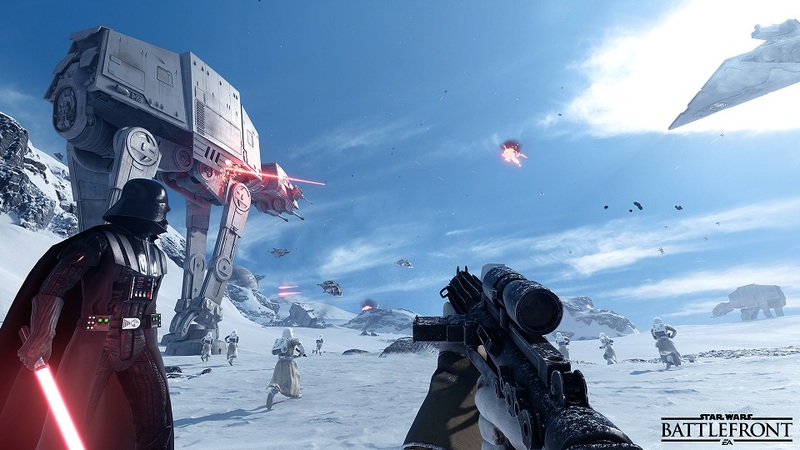 As I stated previously, Battlefront doesn’t have a lot of depth in its multiplayer offerings. Anyone can pick up the game at any time and jump online without feeling at a disadvantage for not having played for many hours before. I mean, if you’re bad at first person shooters I’m not saying that you’re going to go 30-1 on your first round, but simply that there’s not a lot of unlocks for better gear or perks. There are perks and weapons you can unlock, but they merely provide slight advantages on the battlefield, and they’re hardly noticeable. 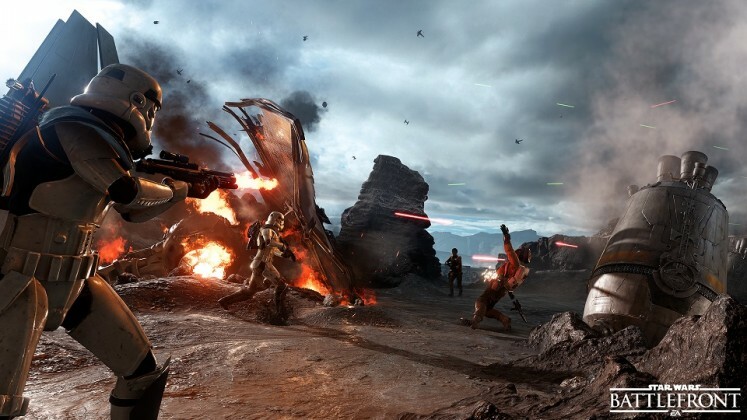 Battlefront is the developer DICE’s attempt at creating a casual multiplayer experience following their strong revitalization of the Battlefield franchise with the 3rd and 4th entries. 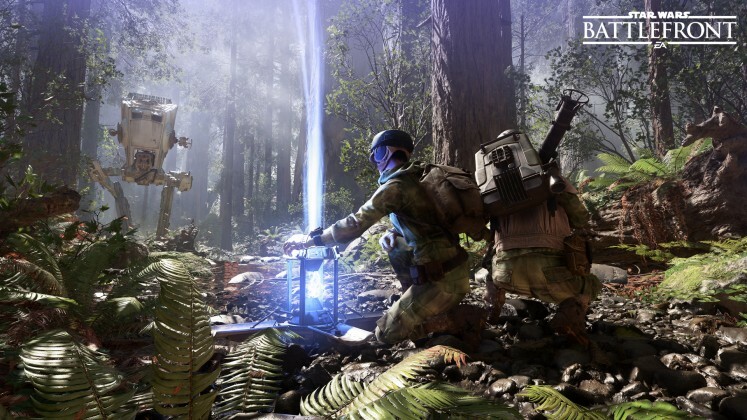 Unfortunately, instead of figuring out ways to make the gameplay more accessible with the same amount of features, DICE essentially removed many of the core gameplay elements their titles are known for, releasing a somewhat barebones experience. That’s not to say the multiplayer in Battlefront is bad, it’s not, but once you’ve your fill of Star Wars nostalgia there really isn’t a reason to go back for more. Battlefront isn’t the Star Wars game everyone was hoping for. Players dreamed of a game that would offer incredible campaigns across their favorite Star Wars battlefield, with a just-as-great online variant to play against a multitude of players. Well gamers, you’re only going to find a satisfying multiplayer experience here. Those yearning for a good single player Star Wars experience will find solace in Knights of the Old Republic or Republic Commando. 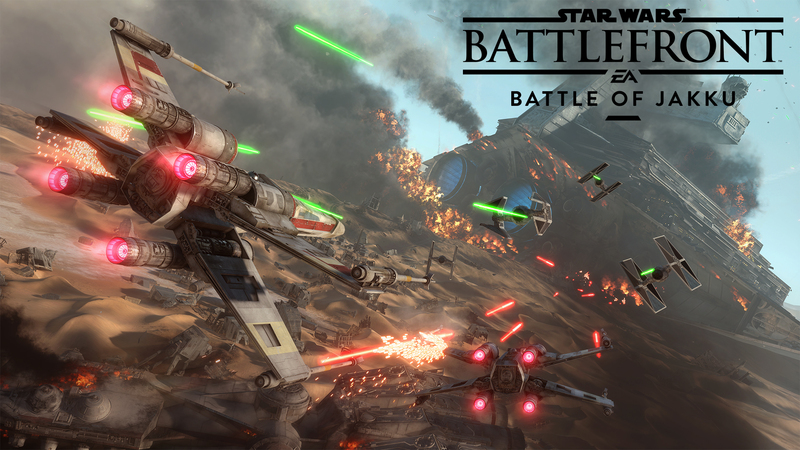 Battlefront is best recommended for those looking for a great pick up and play multiplayer experience. Some fans of shooters may be disappointed by the lack of depth online, but that’s the best we’re going to get for now. 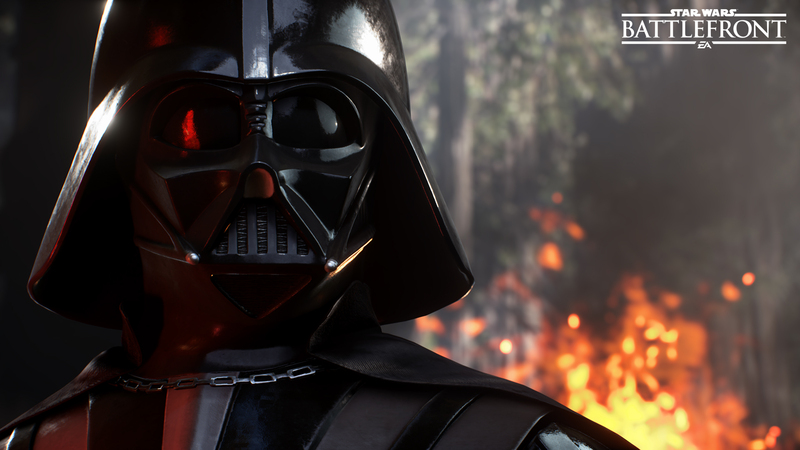 I have had a last with Battlefront, but I am bummed out by the lack of singeplayer content and unlockables (even just appearance –wise). Hopefully more will come down the road, but for now, I’m happy with Battlefront, but it easily could have been better. Strong graphics and presentation are held back by somewhat lackluster gameplay that only reaches its peak while playing with friends. 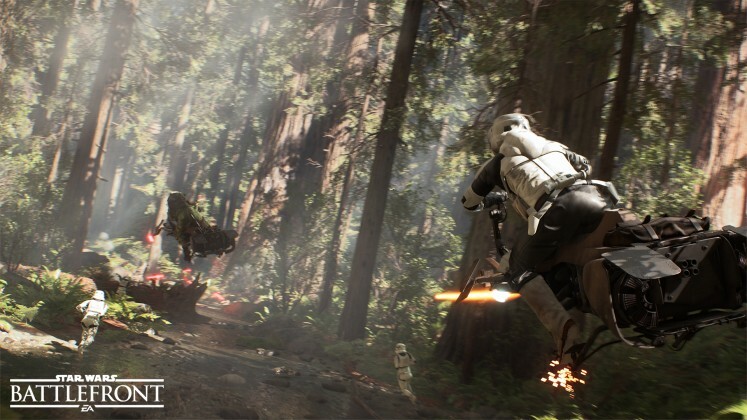 Battlefront is bound to improve as more maps and DLC are released, but the launch package feels somewhat lackluster as it exists with so much untapped potential and incredibly high expectations.